In 2012, Capital BikeShare launched in Washington, D.C., and its surrounding counties, to provide a bike-sharing system for residents and tourists alike. 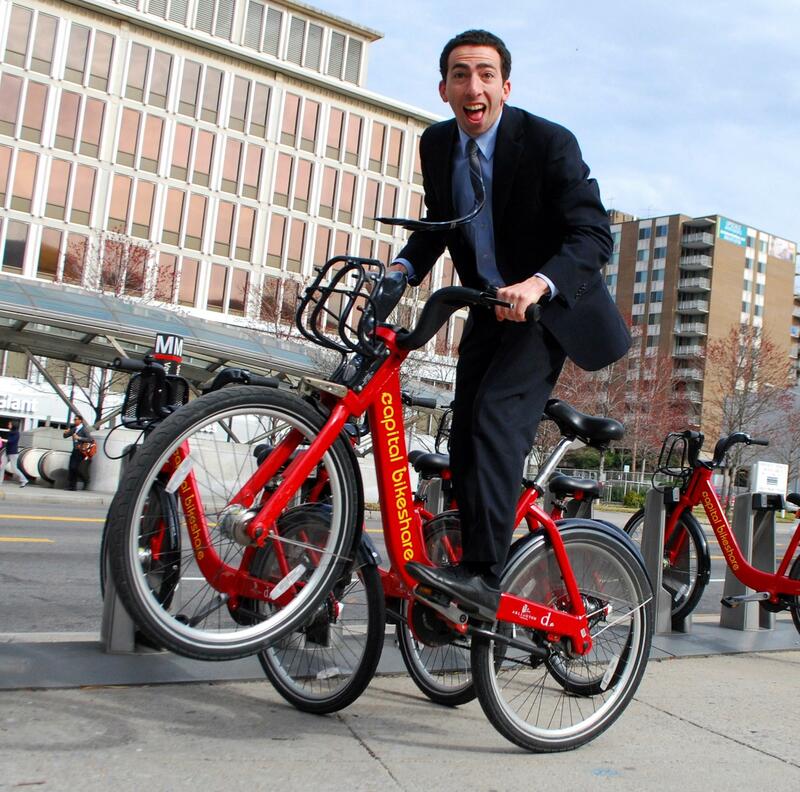 Four years later, there are 235 bike stations in the District alone, with a total of over 3,700 bicycles available. Cyclists with longer commutes can also load their bikes onto Metro trains and buses. 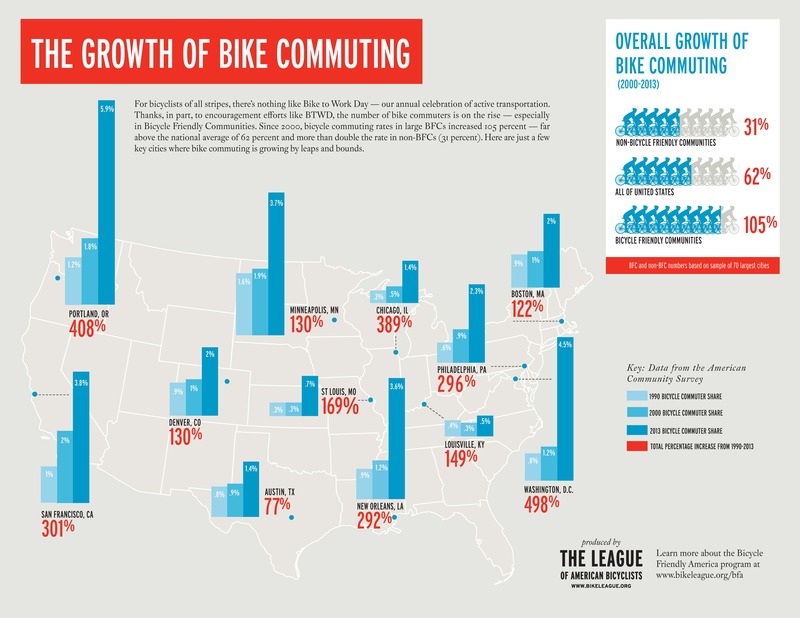 The increase in cyclists on the street is changing commuting in the region. Bike parking at the National Geographic Society in Washington, D.C. Photo by NGS Staff. One example of the companies that have popped up to fill this infrastructure niche is Minneapolis-based Dero. 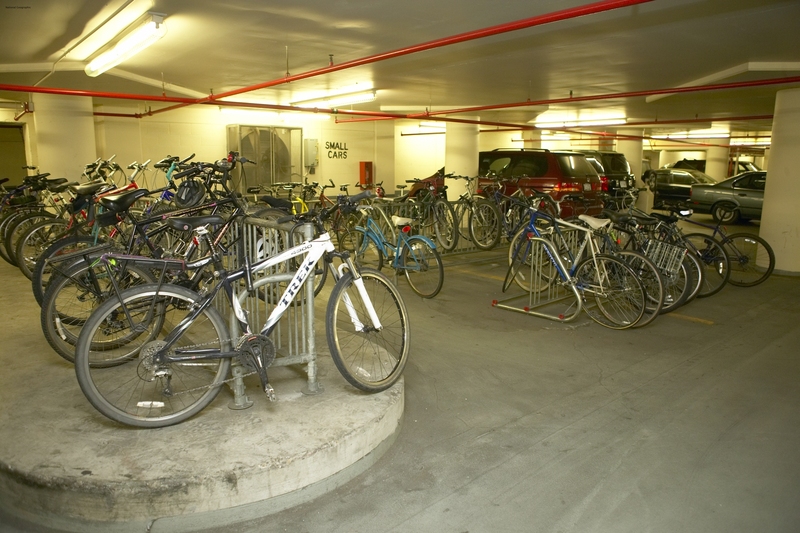 It offers cities and builders all kinds of bike racks, shelters and lockers, and its bike parking guide shares suggestions on space use orientation and mounting and installation options. Since cyclists need to know ahead of time where they'll be able to park their bikes, they can take advantage of mobile apps and real-time online maps of available locations. In the D.C. region, BikeArlington created RackSpotter, an interactive map of facilities in the area. I’ve lived in D.C. without a car for more than a decade, and biking has become a convenient, low-cost and low-impact means of getting around the city. 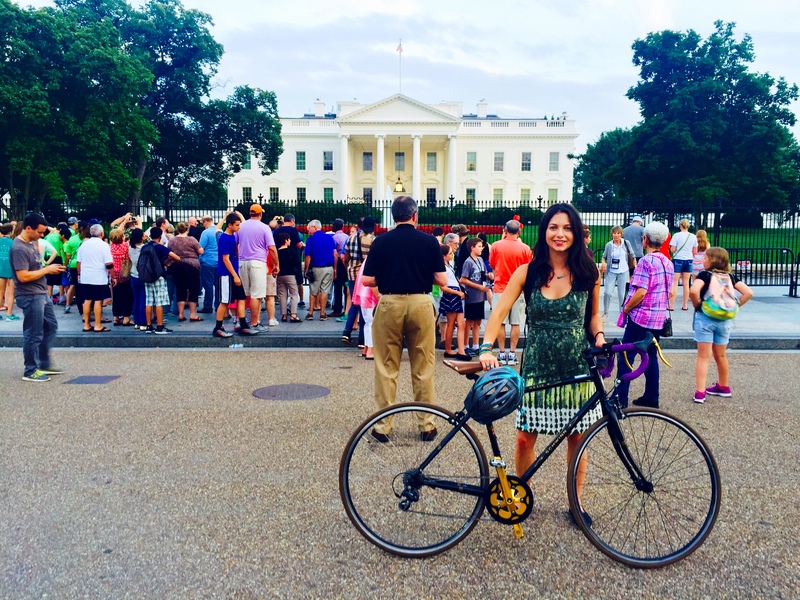 I bike to work because it’s a great way to get outside and exercise early in the day. I’m also able to go at my own pace, avoiding the delays of transit and the traffic of driving. I get to the office with a few miles behind me and a clear mind, ready to focus on the challenges of the day. Thanks to an old-coworker who convinced me that the D.C. bike lanes weren’t as scary as I imagined, I bought a bike in 2013 and haven’t looked back. Biking is my favorite way to get around the city—it is usually the fastest option, gets the blood moving in the morning, helps minimize my carbon footprint and has allowed me to explore different areas of the city I otherwise wouldn’t have gotten to by foot or metro. I'm happy to see that the city is making it easier for more people to get around by bike! Through LEED v4, USGBC offers bicycle facilities credits under Building Design and Construction: New Construction. And even sports stadiums are making bike parking a priority.